Once the largest silica sinter deposits on earth, The Pink Terrace and the White Terrace were natural wonders of northern New Zealand. Their Māori names were even more beautiful: Te Otukapuarangi (“The fountain of the clouded sky”) for the Pink Terrace, and Te Tarata (“the tattooed rock”) for the White Terrace. The terraces were at the Lake Rotomahana shore, and ~1200 meters apart. Unfortunately, on June 10, 1886, Mount Tarawera erupted. It was one of New Zealand’s largest historic eruptions and the deadliest eruption in New Zealand since the arrival of Europeans. Up to 150 people, mostly Māori, were killed, and many settlements were destroyed or buried by the eruption. The Pink and White terraces also have been lost. Or at least, they were supposed so. After the eruption, a crater over 100 meters (328 feet) deep encompassed the former site of the terraces. After some years this crater filled with water to form a new Lake Rotomahana, 30-40 meters (100-130 feet) higher, ten times larger and deeper than the old lake. The White Terraces (1887) by Charles Blomfield. Fast forward to 2011. In February 2011, while mapping the floor of Lake Rotomahana, a team including researchers from GNS Science(1), Woods Hole Oceanographic Institution, Lamont-Doherty Earth Observatory, and Waikato University were mapping the lake floor when they discovered part of the Pink Terraces, found the lowest two tiers of the terraces at 60 meters (200 feet) deep. In June 2011, a part of the White Terraces was also rediscovered in by the team. 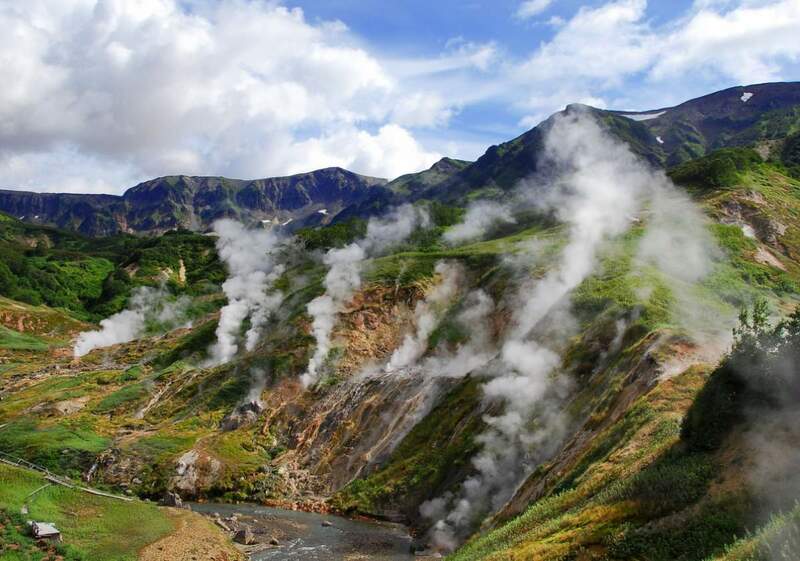 The expedition was not related to the terraces directly: the team’s goal was to discover how the 1886 eruption had affected the geothermal system that had formed the terraces. The team went back in 2012 and again in February 2014 to photograph the remains, and were published in the Journal of Volcanology and Geothermal Research. The claims of rediscovery have been challenged by skeptic Bill Keir, who calculated the ‘rediscovered’ structures are not where the terraces were before the eruption. Specifically, the recently discovered structures are 50-60 meters (164-197 feet) under the lake surface, but the historic terraces are expected to be as little as 10 meters (33 feet) under, and “could not be more than 40 meters (131 feet) below the surface”. Keir speculates the structures discovered by the GNS team are prehistoric terraces, never before seen by humans; or perhaps step-shaped objects created by the eruption. Once a tourist attraction and a favorite of locals, Guairá Falls were a series of immense waterfalls on the Paraná River along the border between Brazil and Paraguay. Ranging from 13,000 m3 (470,000 cu ft) per second to 50,000 m3 (1,750,000 cu ft) per second, Guaíra’s flow rate was among the greatest of any then-existing falls on Earth (if we take the smaller number, the second greatest, after Boyoma Falls in Democratic Republic of the Congo – 17,000 m3, and if we take the bigger one, it was the greatest). The falls’ Spanish name was Saltos del Guairá, upposedly named for a Guaraní Indian chief. 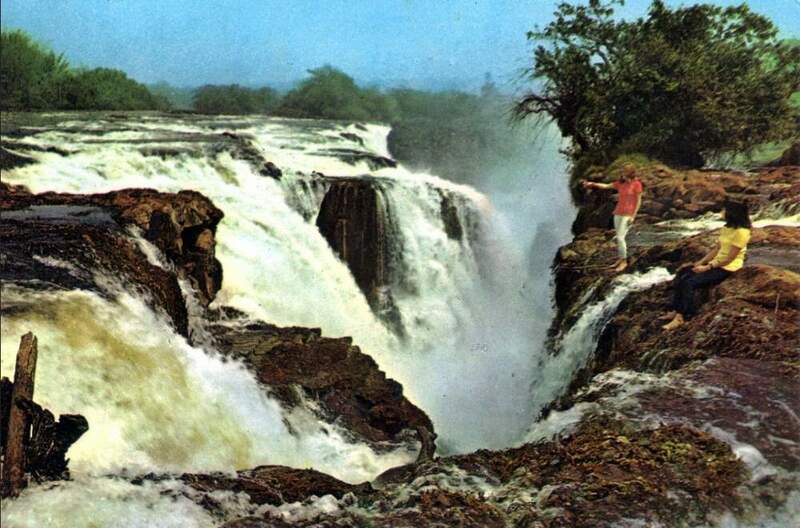 Portuguese name was Salto das Sete Quedas do Guaíra – the falls comprised 18 cataracts clustered in seven groups-hence their Portuguese name, Sete Quedas (Seven Falls). At the head of the falls, the river narrowed sharply from a width of about 380 m (1,250 ft) to 60 m (200 ft). The total height of the falls was approximately 114 m (375 ft), while the largest individual cataract was 40 m (130 ft) high. It has been said that the roar of the plunging water could be heard from 30 km (20 mi) away. The falls no longer exist, inundated in 1982 by the impoundment of the Itaipu Dam reservoir. And their destruction was irreversible – the Brazilian military blew away the rocks over which the water fell in order to create the reservoir. Once lying between Kazakhstan in the north and Uzbekistan, the Aral Sea was one of the largest lakes on Earth (the fourth largest), and was so named for its myriad islands (the name roughly translates as “Sea of Islands”, referring to over 1,100 islands that once dotted its waters; in the Turkic languages aral means “island, archipelago”). Now it’s main basin is a desert, and the many communities on its shores that it used to serve are now left high and dry. 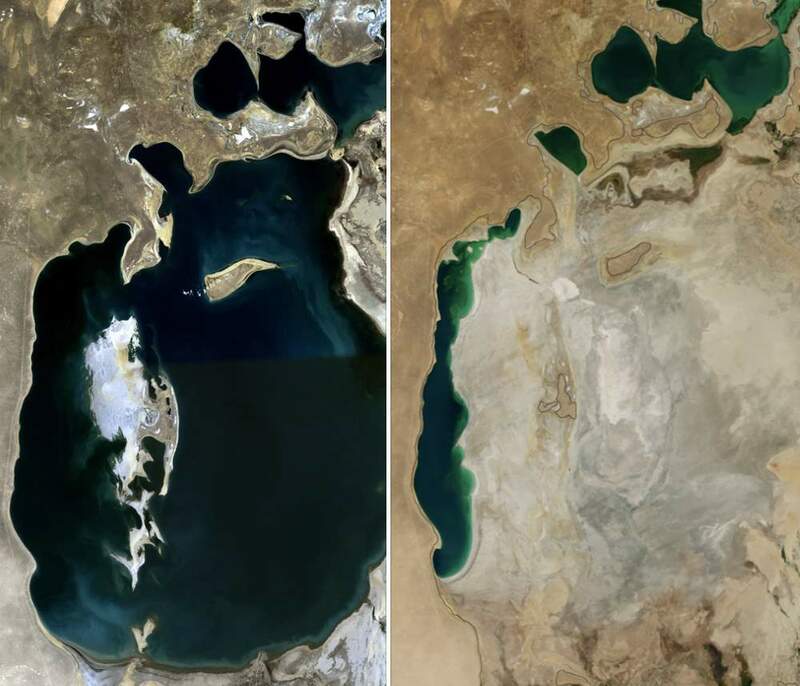 Satellite images taken by NASA in August 2014 revealed that for the first time in modern history the eastern basin of the Aral Sea had completely dried up. The eastern basin is now called the Aralkum Desert. The Aral Sea has been steadily shrinking since the 1960s after the rivers that fed it were diverted by Soviet irrigation projects. The shrinking of the lake has been called “one of the planet’s worst environmental disasters”. Once rivaled Yosemite Valley in beauty, Hetch Hetchy valley was converted into a reservoir in 1923 for San Francisco’s water needs. Before damming, the high granite formations produced a valley with an average depth of 1,800 ft (550 m) and a maximum depth of over 3,000 ft (910 m); the length of the valley was 3 mi (4.8 km) with a width ranging from an eighth to a half of a mile (0.2 to 0.8 km). Russia’s Valley of Geysers was the second largest concentration of geysers in the world (after Yellowstone). There were approximately ninety geysers in a 6 km (3.7 mi) long basin. It was in Kamchatka Peninsula in the Russian Far East. On June 3, 2007, the valley has disappeared in the blink of an eye: a massive mudflow inundated two thirds of the valley – irreversibly. We’ve lost one of the greatest natural wonders of the world. Prometheus was the oldest tree in the world, and also the oldest known non-clonal organism – which was at least 4862 years old and possibly more than 5000. It was a Great Basin bristlecone pine (Pinus longaeva) tree growing near the tree line on Wheeler Peak in eastern Nevada, United States. The tree was cut down in 1964 by a graduate student and the United States Forest Service personnel for research purposes. The people involved did not know of its world-record age before the cutting, but the circumstances and decision-making process remain controversial; not all the facts are agreed upon by all involved. The Ténéré Tree was once considered the most isolated tree on Earth. The closest tree’s distance to it was over 400 kilometres (250 mi). It was a was a solitary acacia, of either Acacia raddiana or Acacia tortilis. It was a landmark on caravan routes through the Ténéré region of the Sahara Desert in northeast Niger, so well known that it and the Arbre Perdu or ‘Lost Tree’ to the north are the only trees to be shown on a map at a scale of 1:4,000,000. It was knocked down in 1973, supposedly by an apparently drunk truck driver. Kiidk’yaas, also known as the Golden Spruce, was a Sitka Spruce tree, Picea sitchensis ‘Aurea’, that grew on the banks of the Yakoun River in Haida Gwaii archipelago, British Columbia. It had a rare genetic mutation causing its needles to be golden in color. On January 22, 1997, a 47-year-old unemployed forest engineer named Grant Hadwin surreptitiously felled the tree as a political statement against industrial logging companies. He was later arrested but disappeared on his way to trial. 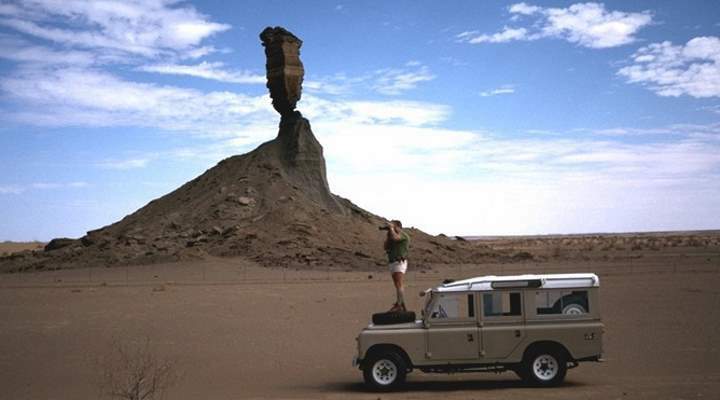 The Mukurob (Finger of God), near Asab in Namibia, was a 12 meter (39 feet) high and up to 4.5 meters (18 feet) wide sandstone rock formation in the Namib desert which collapsed on December 7, 1988. It is still not clear what truly caused Mukurob’s collapse. 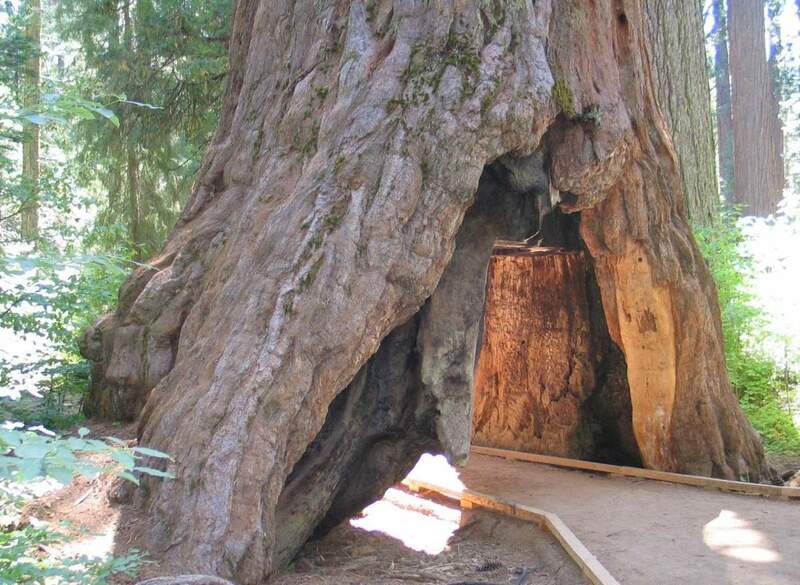 The last giant sequoia with a drive-through archway in its trunk, the 1,000-year-old Pioneer Cabin “tunnel tree” was one of several towering California trees cut in the late 19th century to inspire nature tourism. A powerful winter storm in California has in January 2017 has brought it down. The Pioneer Cabin Tree in 2006. Also known as The Tunnel Tree, it was a giant sequoia in Calaveras Big Trees State Park, California. It was considered one of the U.S.’s most famous trees, and drew thousands of visitors annually. It was estimated to have been more than 1,000 years old, and measured 33 feet (10 meters) in diameter; but its exact age and height were not known. The tree was topped before 1859. It fell and shattered during a storm on January 8, 2017. 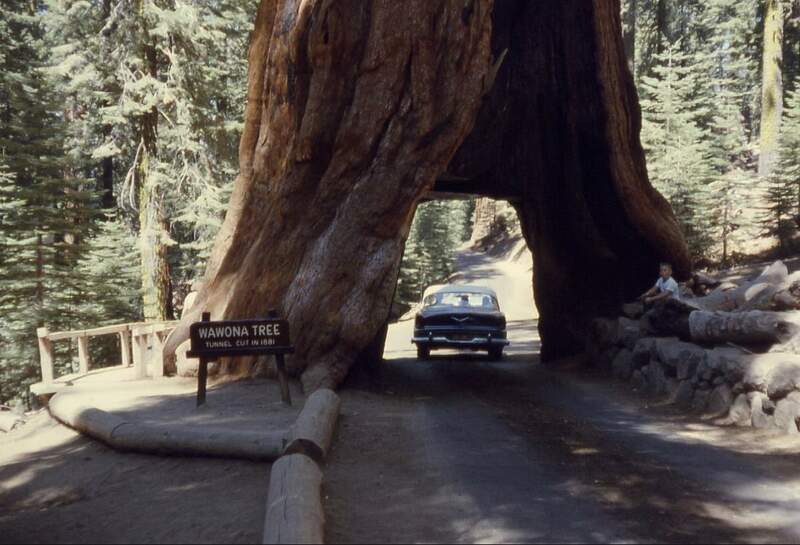 The most famous tunnel-tree was the Wawona Tree, in Yosemite National Park; it fell during a winter storm in 1969 at an estimated age of 2,300 years. Three massive Giant California Redwood trees still continue to offer the drive-through experience. GNS Science (Māori: Te Pū Ao) is a New Zealand Crown Research Institute. It focuses on geology, geophysics (including seismology and volcanology), and nuclear science (particularly ion-beam technologies, isotope science and carbon dating). It was known as the Institute of Geological and Nuclear Sciences (IGNS) from 1992 to 2005. Previous PostIf Andromeda Galaxy were brighter, this is what we’d seeNext PostWhat would happen if humans became extinct?